I am currently in my second year of Accounting major in Faculty of Commerce and Accountancy, Chulalongkorn University. I aspire to be a part of organization that provides me a challenging job experience which helps me achieve personal as well as organizational goals. It is once a great opportunity to work in an organitzation. 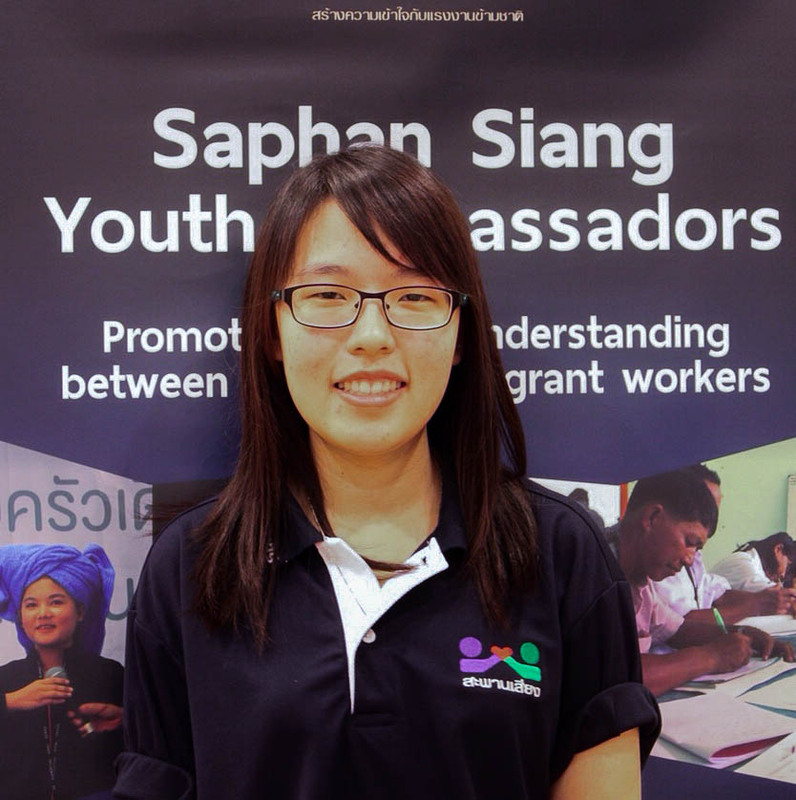 The Saphan Siang Youth Ambassadors programme is interesting because it works for migrant workers. I think we are a new generation who can change our country for the better, and everyone can live together peacefully. So this programme is one component of making this happen. To work in a real organization and be part of helping migrant workers in Thailand is a special opportunity for me. I also expect the see the world of real work and meet different kinds of people. I also want to learn from the migrants, experience their lives, their problems and help to solve them using all knowledge I have about making a better society.